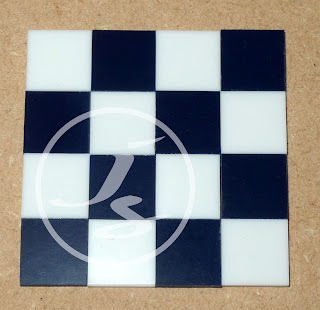 I have added new colours to my range of tiles. 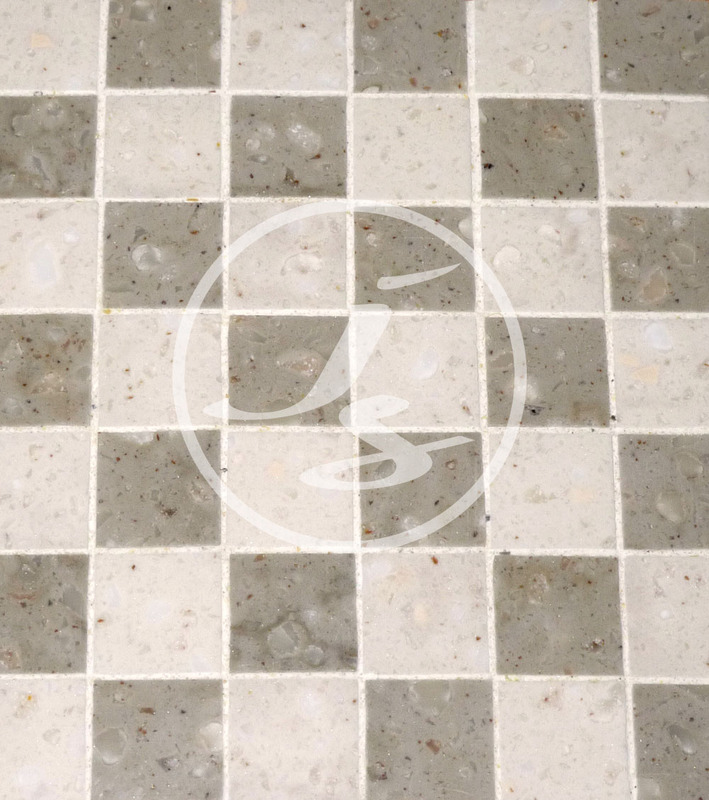 Along with the existing faux marble tiles I now have added some ceramic style tiles in clean, modern colours. 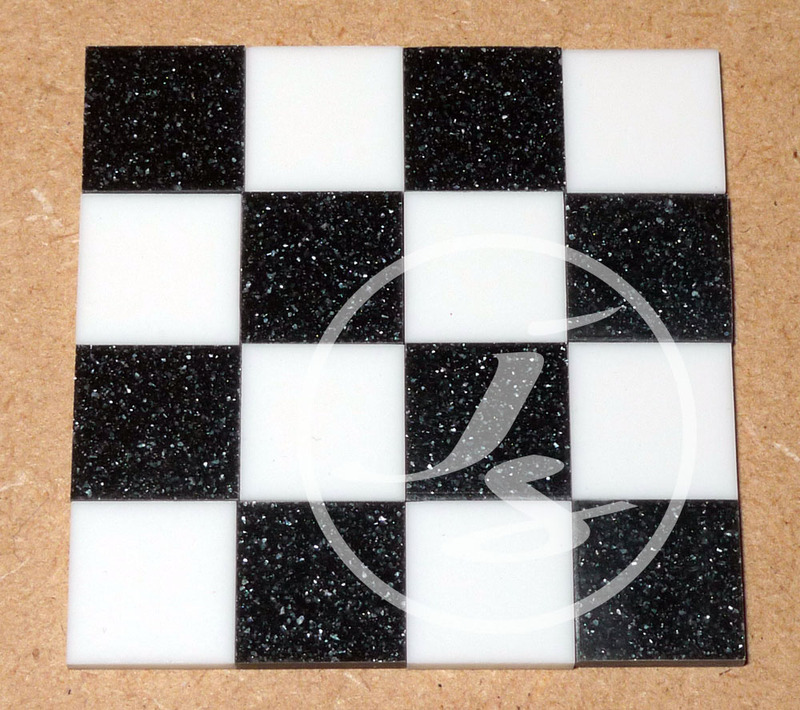 Dark blue, white and speckled black are available either as single colours or as mixed packs. 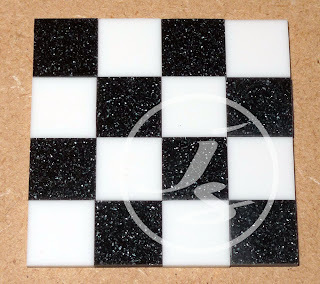 You can either chose from the standard pack sizes of 25, 50 or 100 tiles or I welcome custom orders, just drop me an e-mail. I'll also work out what you need if you're not sure. I can also cut them to other sizes - just let me know what you need. They can either be laid flush as in the photo or you can leave a 1mm gap between the tiles and grout to give a very realistic finish as shown below. They look fab, and cute little calculator - a good idea. New sizes, colours and a tile calculator!